Men’s wear, men’s shoes and a whole lot more related to men seems to be trending. A new trend that caters to young men who focus on shopping and designer wear as much as the next young woman is the rising popularity of skin care products. We’ve got an awesome range of men’s health and care products that will ensure your man stays fresh and clean at all times, instead of the haggard, dark eyed and rough skin mess that so many of us unfortunately become due to lack of proper and regular skincare! 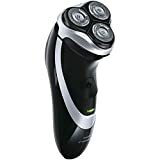 There’s a wide array of items for you to choose from; be it a silver chrome German razor that will give your man a clean finish and enable him to shave with the kind of precision that is exact and rare to a Neutrogena face wash that makes your man’s face stay fresh, healthy and allows him to be invigorated to a lovely smelling body wash- there’s something here for every man out there! 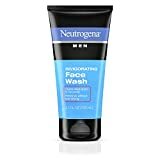 The men’s face wash that we’ve got just for your man would be Neutrogena Men’s face wash. Neutrogena is a renowned brand and all it’s products are designed fulfill the skin care objectives. This particular face wash is one which ensures that your man’s face remains oil free and rid of impurities. This product will allow his face to be refreshed without any overdrying or dehydration and lastly that his face does not clogged up with pores but stays both fresh and clean! Dove Men+Care Hydrate + Face Wash effectively cleanses and is clinically proven to fight skin dryness. 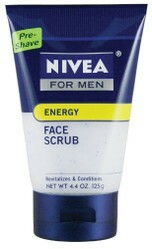 The amazing and revitalizing face scrub that we’ve got for your boyfriend is this Nivea for Men Energy Face Scrub. It comes in a short little tube and prevents clogging, dirty, dry and overly rough skin; now your man can stay nice and clean at all times! Furthermore this face scrub is re energizing during the humidity and heat of this year’s awful summer and will ensure that your man stays fresh and clean at all times; it’s also great as a pre-shave start off! The first thoroughly refreshing men’s body wash would be this Nivea For Men’s Active3 Body wash. It comes in a cool looking electric blue and green bottle and is something that we’re certain will prove to be absolutely refreshing in the midst of one of the worse summers we’ve seen for a long, long time. This body wash will enable your man to smell amazing for a long long time, leaving a sensuous lingering scent on his body! Nivea for men oure impact body wash. Removes dirt and sweat, refreshes and cleanses. Doesn't dry out skin, lathers well and rinses off easily. Long-lasting, masculine scent. The first shaving gel that we’ve got for your man is both healthy and enriching! It contains chamomile and Vitamin E is both smooth and creamy and will enable your man to not only maintain his vital good looks or to keep fuzz at bay but will allow him to come off as smooth, clean and glowing all at the same time! The gel will also make certain that he can shave and clean himself minus the natural irritation that is evident when a man shaves himself in the morning! Dusk premium shave cream is nonlathering, skin conditioning and soothing. 100% vegan. 100% us made lavender, menthol and aloe all cool and condition the skin for a gentle shave. A pretty little thing that still looks manly and firm, would be the Tweezerman Men’s shaving brush. This shaving brush makes the tedious and rigorous process of shaving much easier for your guy and ensures that he remains smooth and clean even as it also ensures that his hygiene remains intact; the brush is made of a 100% badger hair bristles and wont let the lather fall on his face or that his face still remains with grit and dirt on it; rather it lets him shave in a clean, precise manner! This is one razor that ensures a clean finish with lightening speed and the kind of precision that is rarely seen in most other razors; it is also very powerful and can work in over 10 seconds flat, effectively ridding your man’s face of all unwanted hair even as the stubble will no longer remain on either his face and neck and he will not simply look presentable, but sophisticated at the same time! 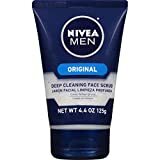 Nivea seems to do a good job with their products for men. Not so much with their lotions, BB creams, etc. for women. Nice article - will keep in mind for son - especially like the pure hair shaving brushes.